Costco Wholesale.com has Netgear Nighthawk CM1100 DOCSIS 3.1 Cable Modem on sale for $119.99 valid for Costco Members only. Shipping is free. Maximize your Gigabit internet service! 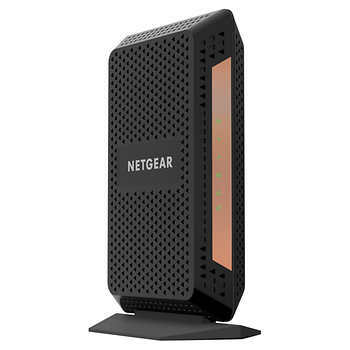 Nighthawk Multi-Gig Speed Cable Modem by NETGEAR supports link aggregation to deliver true multi-gig internet speeds. It improves your Internet connections and provides smooth online streaming and gaming. Eliminate internet service provider equipment rental fees and save up to $156 a year. Backwards compatibility with previous DOCSIS standards and works right of the box with Internet cable services like XFINITY from Comcast, Cox and Spectrum. The Nighthawk CM1100 Multi-Gig Cable Modem is built for Gigabit cable internet service plans available today and ready for future upgrades.